After being awarded her J.D. from Boston University School of Law in 1989, Ms. Foner began her career with the general practice law firm of Lebson, Prigoff and Baker, LLP. After being awarded her J.D. 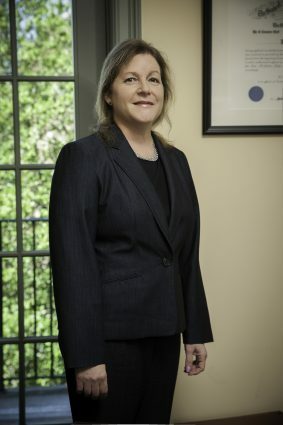 from Boston University School of Law in 1989, Ms. Foner began her career with the general practice law firm of Lebson, Prigoff and Baker, LLP. During her 14 years at that firm her practice included the areas of employment law, insurance defense, defamation, health care law, product liability, negligent security, guardianships, real estate and banking law. In July 2003 Ms. Foner opened a solo practice concentrating in employment law, primarily representing plaintiffs in actions involving discrimination, wrongful discharge, harassment, hostile work environment and civil rights violations. In 2004 she became a qualified mediator of the New Jersey Superior Court and as such has mediated numerous matters in the employment law area. She continued with her solo practice until May of 2008, when she joined Hyderally & Associates, P.C. as an associate. Ms. Foner is admitted to practice in New Jersey State and Federal courts.